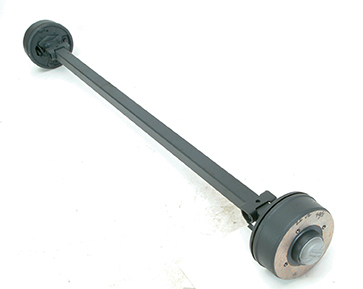 Identifying the correct axle for your Ifor Willaims trailer is quite difficult therefore we do not list them for purchase on our online shop. Please call 01772 600395 and we will provide help in choosing the correct one and get a price for shipping. Please have the model and year or serial number of your trailer ready before calling as we will need this information. All complete axles are to order, please call us on 01772 600395 to provide us with your trailer serial number so we can ensure you get the correct one.